Are you a type A personality? I have three words for you, DYMO. Label. Makers. In today's giveaway we have two different DYMO Label Makers as prizes. Two readers will win one of the machines each. The first prize winner will get the Dymo machine of their choice. And the runner up will get the remaining Label Maker. This is a sleek, powerful and portable machine. It has a large LCD display, convenient keyboard, memory storage and simple-to-use features. It is perfect for labelling everything you need around the home such as Toys, CDs, files, toolboxes, cabinets and drawers. I have had one for a while and everything gets labelled, including the cat. 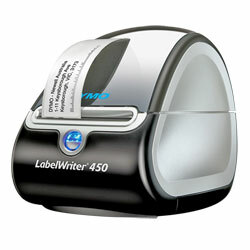 This is the most popular of DYMO's label printer range. It is really small and compact for the job it does. You use it with your computer to make many different styles of labels. 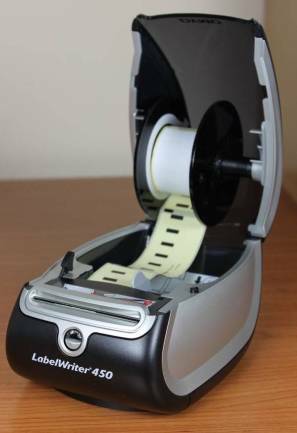 It comes complete with USB and power cables, DYMO LabelWriter labelling software, a starter roll of address labels, User and Quick Start Guides and a cleaning card. You can buy DYMO Products at Officeworks stores in Australia.